One of the largest causes of both accidents and incidents is a pilot’s loss of control in the immediate aftermath of an emergency. We have designed a course to specifically assist all pilots in dealing with incidents resulting in a loss of control during flight. Principally aimed at the touring pilot, but also an extremely worthwhile exercise for any recreational or business pilot. Flying safely close to the slow speed edge of the performance envelope is a skill, which needs to be practised regularly in order to maximise the pilot’s, and indeed any passengers, chances of survival following an emergency. 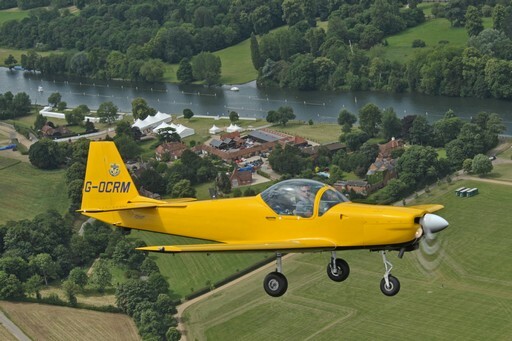 A myth is that pilots only feel that practising recoveries from unusual attitudes or incipient spin stages is required by aerobatic pilots – NOT TRUE! The real truth is is that ALL pilots need to be current and proficient in recognising the onset of an unusual attitude or incipient spin as quickly as possible so that they can immediately make the correct identification and control inputs to recover the aeroplane safely with minimum loss of height. Our Stall Spin Awareness Training course will focus on keeping you safe in the air and confident to deal with any flight situation or attitude you may find yourself in. • Comprehensive ground briefings pre and post flights – total 8 hours.